How do I find articles on a subject? Subject & Class Guides: Databases recommended for a subject are available from this link. Select a recommended database and search for articles on your subject. Databases & Articles: All databases are available from this link. Select a database and search for articles on your subject. How do I find an article if I have a citation? Electronic Journals: From this link, search publication title to determine if it is included in one of Griswold Library's databases. 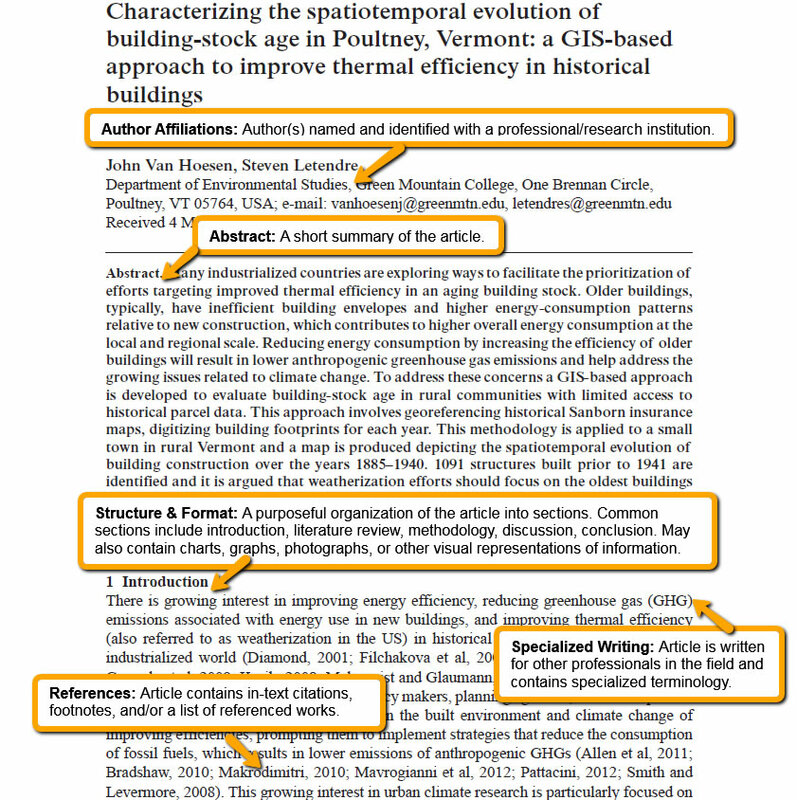 Citation Linker: Type in the article title, journal title, and publication year to be linked directly to the article. Select a database and search for your topic. Limit your results to scholarly journals. Many (but not all) databases will have a filter to remove magazines, newspapers, and other non-scholarly sources from your search. Look for the characteristics identified below. Articles that contain these characteristics are likely to have been peer-reviewed. Why do I need to do this? The filtered results from step 2 contain all the contents from a scholarly journal including works that may not have peer-reviewed such as book reviews, commentaries, or opinion pieces. Examining the article for common peer-review characteristics will help you distinguish peer-reviewed articles from those that have not gone through this process.